Some of the best gifts that I received when I was marrying John were the customized gifts given to me from my bridesmaids. 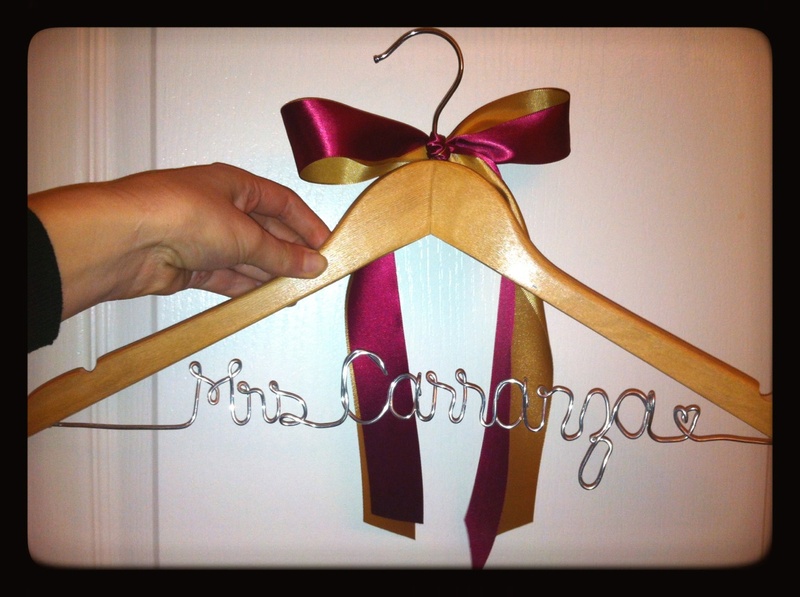 For my shower, one of my bridesmaids, Elizabeth, made me a hanger with my (then) soon-to-be name (Mrs. Pray) for my wedding dress to hang on for a lovely photo-op. 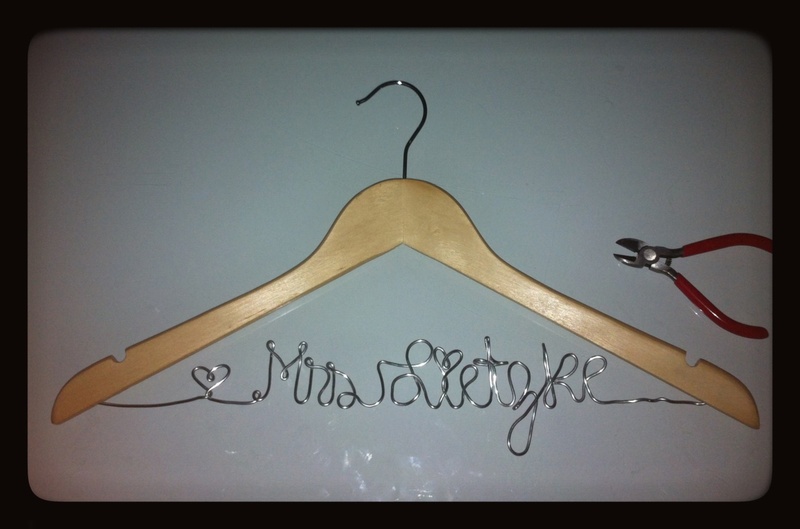 I was obsessed with the hanger, and ever since then, whenever I have a friend getting married I always make them one. This one will be for the soon-to-be Mrs. Lietzke! Since you will be bending the bride's new name with a single piece of wire, you will want to practice writing the name with a single line. 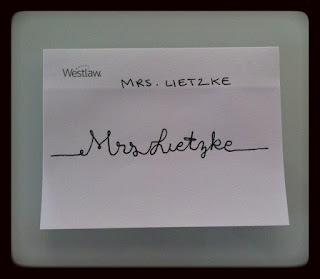 Certain letters like "t" are particularly difficult because you need to cross the "t" - below I wrote the bride's name with a single line (I did not pick up the pen when writing her name). 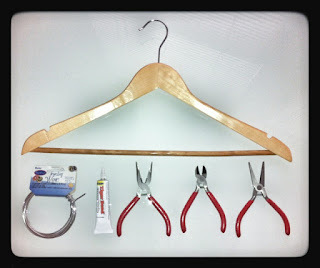 Once you have figured out how you are going to bend the wire, remove the dowel from the hanger and drill a blind hole (a hole that does not go all they way through the hanger) the size of the wire into the hanger. I went to Home Depot and they drilled the holes for me. After you have hanger ready you can start bending the bride's name in the wire. 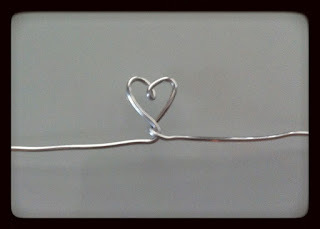 I use twelve gauge wire - it is a bit thicker and holds better. Don't bother cutting the wire when beginning, but just unroll the wire as needed (that way you won't have to worry about running about of wire). I usually start (or end) with a heart. 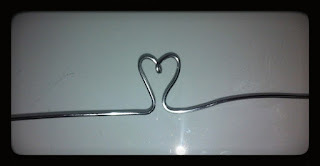 To make a heart, start by shaping an "M" and twist the center dip. 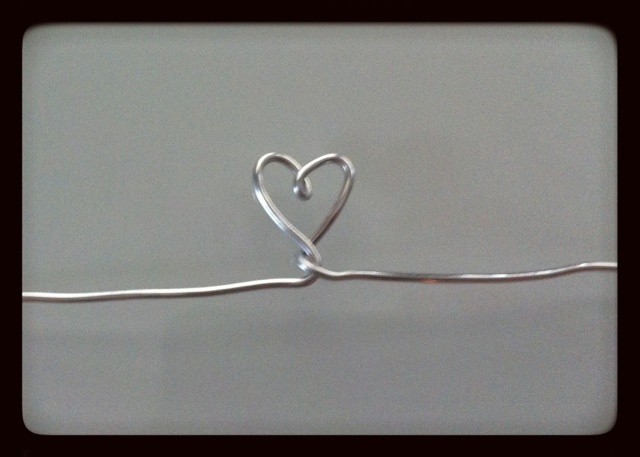 Using wire tools can help you grip and twist tighter areas. 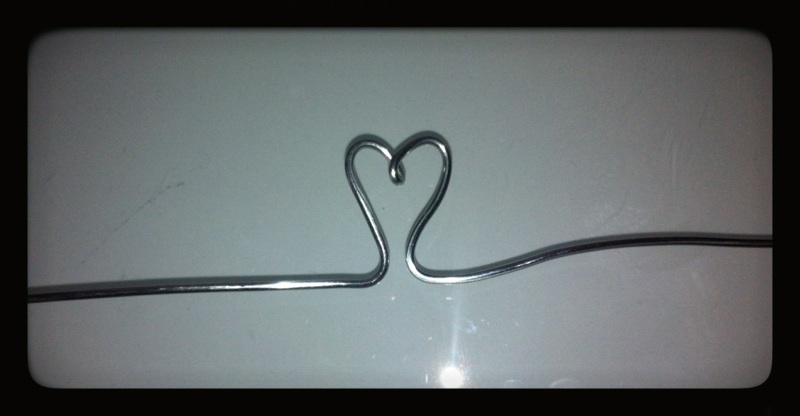 Once you twist the center, then twist the bottom together to form a heart! Play around a bit to get the shape and size you are looking for. 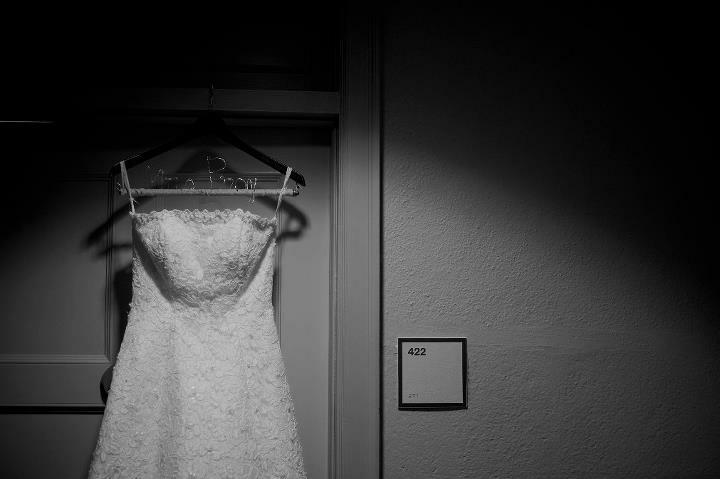 Now starting forming the bride's name! 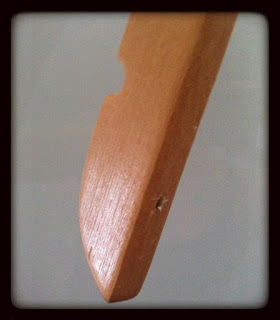 When working with tight corners/turns (like an "M") make little loops - they look pretty and it makes the turns easier. 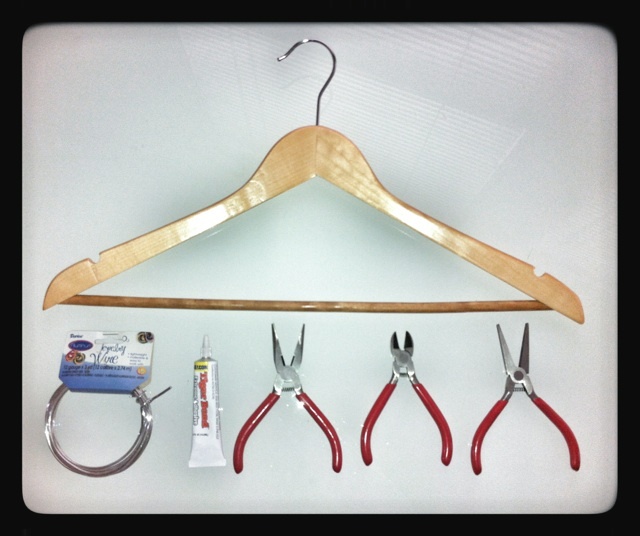 Once you start forming the letters, you will want to make sure that you will have enough room to fit the full name in the hanger. I usually make my capital letters about two inches tall and narrow enough to give myself a few inches on both sides once the full name is written. 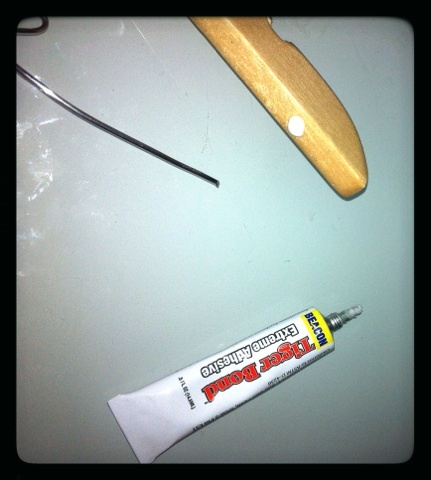 Before you put the wire into the hanger holes, put a little drop of some sort of glue to keep it secure (I used tiger bond but have also used normal crazy glue). 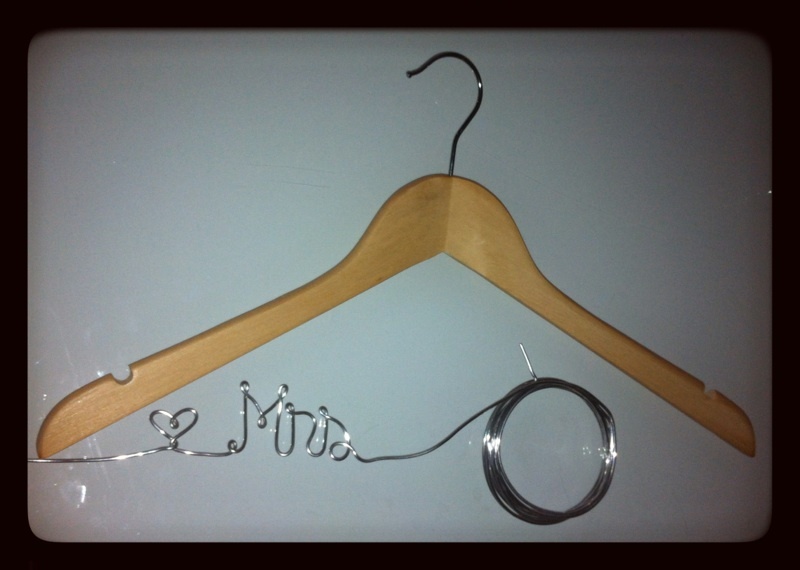 Once you have the wire secured in the hanger, you can play around with the letters a bit to straighten them out or space them to look better. 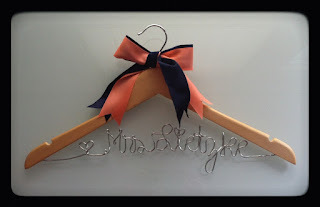 I topped off the hanger with ribbons using the bride's wedding colors! Generally, there is enough wire to bend two names - so I used the remaining wire to make a hanger for my friend Olivia... soon-to-be Mrs. Carranza! 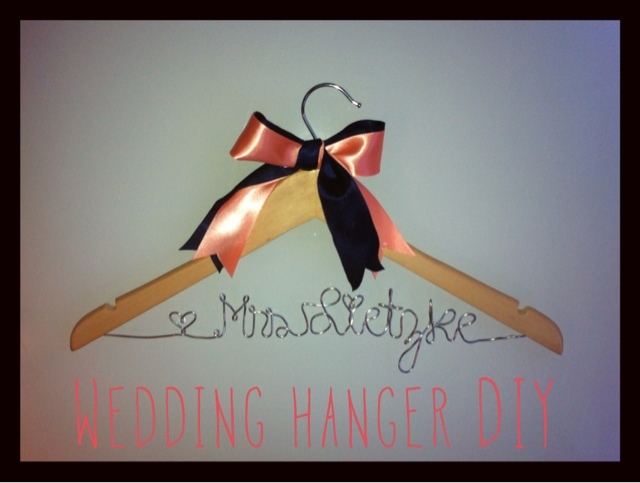 It is a bit hard to see in the picture below, but I could not help but show my wedding hanger. :) My dress is still hanging on it! Thanks Elizabeth! Wow!! 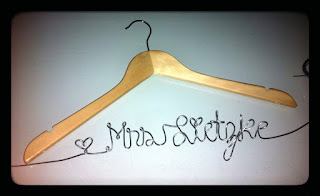 I loved this name hanger. It’s really fabulous. I am planning to have a similar gift for my friends’ wedding at one of event space NYC. This will be a unique gift for the couple. On my wedding a received a beautiful frame with excellent work done on the outer line. I just loved that a lot.